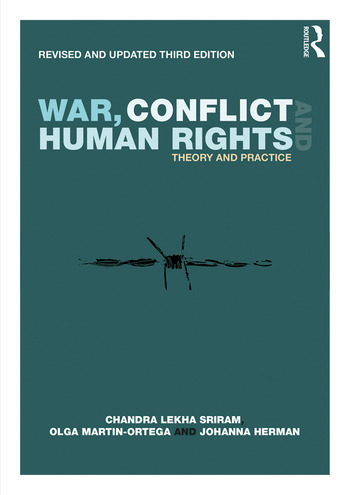 War, Conflict and Human Rights is an innovative inter-disciplinary textbook, combining aspects of law, politics and conflict analysis to examine the relationship between human rights and armed conflict. discuss continuing and emergent global trends and challenges in the fields of human rights and conflict analysis. This volume will be essential reading for students of war and conflict studies, human rights and international humanitarian law, and highly recommended for students of conflict resolution, peacebuilding, international security, transitional justice and international relations generally. Chandra Lekha Sriram is Professor of International Law and International Relations and Director of the Centre on Human Rights in Conflict at the University of East London, UK. Olga Martin-Ortega is Reader in Public International Law at the University of Greenwich, UK.